With a plethora of tomatoes coming on in my garden over the last couple of weeks, I've been doing a lot of last-minute dinners that incorporate them. There is something so satisfying about cutting into a tomato that's still warm from the sun. Plucking them from the vine, they had the most intoxicating smell! I used to hate tomatoes with a passion-turns out I just hated the slimy seed part, and had tried one too many mushy ones which ruined me for the perfection of a semi-firm tomato on a bright summer/fall day. One of my favorite quick dinners of late consists of only a few ingredients, but it's so tasty! Start with a few slices of bacon that you cook to crisp and then remove to a paper towel to drain. Put several grape or cherry tomatoes into the hot pan with the bacon grease and cook them until the skins open and then turn down the heat to let them simmer and their juices will create a sauce with the drippings; deliciousness that needs no additional salt or seasoning because the salty bacon does the work for you. A package of stitch markers (locking and regular), scissors, a pen, waste yarn, measuring tape, row counter and a cable needed of some sort. Right now, I'm using an 8 inch cable needle that I've found to be a sock knitter's best friend. I love using my ipad for the patterns I'm working on. As long as I don't have to make adjustments to what I'm making, I can be paperless which has drastically cut down on clutter for me. Speaking of clutter-when I'm finished with a project I almost always have a partial skein of yarn left, the band for which I've removed and probably tossed. 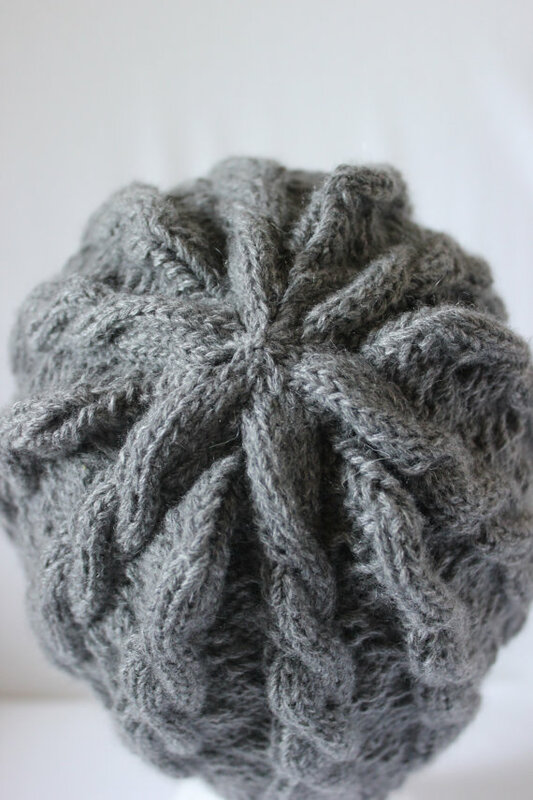 If you would like to re-organize your yarn stash, Shannon also created a free printable DIY yarn stash ball band that you can print in either skein or cake size. It helps if you keep good notes in ravelry on your projects so that you can go back and enter all of the pertinent information on the label, but whatever information you can add is better than nothing. Keeping notes on ravelry has saved me more than once. I had a photo of a prior scarf I'd made as an example listed on etsy, and the customer wanted that exact color; thanks to my notes, I was able to reorder the same colorway and cast on. Now that the kids are back in school, I feel the urge to start purging and organizing my spaces. Closets and storage bins, I'm looking at you! Fellow mamas of school-aged kids, what projects do you like to take on with the time you've gained having kids back in school? This morning I woke up at 6:45 and realized my house was still silent...and it was the first day of school. The only alarm I set these days is for my 5am running date, but I've been struggling to motivate for that 4:30 wake time lately as my neighbor, who I've been training with, was diagnosed with a stress fracture so will be resting almost right up to her marathon. Time waits for no mama, however, so it was out of bed for us and into a routine. I try really hard to make school mornings, especially the first day, as stress-free as possible. Even though I woke later than I wanted, the kids were dressed, fed a healthy breakfast (egg and cheese with ham on whole wheat english muffins; a favorite of the whole clan), hair and teeth brushed and then it was off to the front porch laden with supply-filled backpacks and lunchboxes for a quick picture or twelve. H became increasingly somber as we approached his school, but by the time I left him he was smiling and comfortable in his classroom. Last year, Charlie cried every day for the first few months that I left him but this morning, he was able to say good bye, which was good since there was already one little boy screaming hysterically. Back home, I walked in the door to be greeted by relative silence-until I realized I should probably turn around and get Jack in from the garage. Laundry whirring, counters wiped, and babe laid down for a nap, I have some free time-I think I'm gonna like this. Every knitter's dark hour is when they have to insert a lifeline of waste yarn and rip back...If I continued with my modification it would end up being a maxi-dress. Good thing I have some dedicated knitting time today! This summer we've continued our nightly reading of the Harry Potter Series and we're now almost done with book six, Harry Potter and the Half-Blood Prince. I stopped letting the boys watch the movies after number three, as the rating went from PG to PG-13, the language in the movie was more than in the books and it was just getting overall more mature and intense. When reading to the kids, I can edit and it's up to their imaginations, but with a movie you don't have that same control, so boring mom it is. Along with reading the books, I've found a few Harry Potter inspired patterns, and made this beautiful hat out of upcycled 100% cashmere that I purchased for a custom listing and had enough left to make something else. 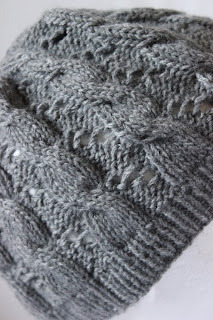 It is absolutely gorgeous yarn, and has the velvety feel of a pair of well-worn jeans. 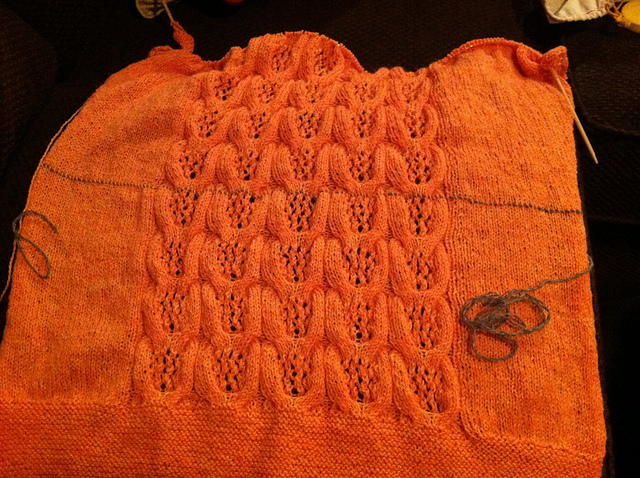 The pattern is beautiful and the decreases at the crown create an interesting starfish-esque pattern. 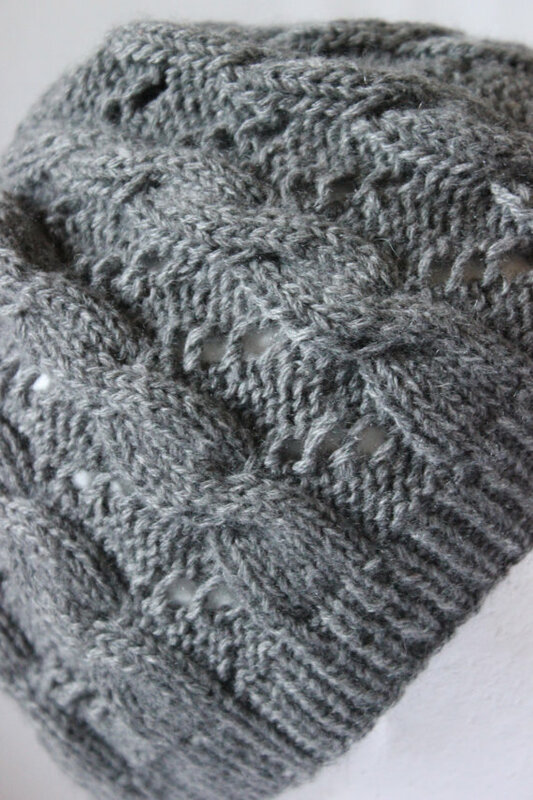 It's available in my etsy shop and is truly one of a kind due to the upcycled cashmere yarn. Do you have a favorite hat pattern that you make over and over again? 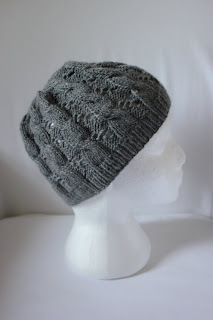 I will definitely be making this one again, but my old standby is the Hannah hat by Pepperberry Knits. I've made at least twenty of them!